I had the opportunity to fly halfway around the world to visit my best bud and see firsthand the work of the WE Charity through WE Villages in Kenya. Great to be able to visit Toronto/Canada for the first time and see @kerne4ya. Met more of the awesome @freethechilden / @metowe folks. Good luck with @weday this week! Instead of a day-by-day write-up, I am going to highlight the work WE Charity does through WE Villages in Kenya. WE Villages has five pillars they focus on to break the cycle of poverty and achieve long-term community development. The charity has been operating in Kenya since 2004. They involve community members in every step, so the solutions take hold, grow, and are long-lasting. I will break my firsthand experience with the five pillars in action while visiting Kenya. In the 2002 Kenyan presidential campaign, a candidate ran on the platform of free primary education in Kenya. Once elected, the new policy went into effect, and in January 2003, over a million children who would not have been able to afford school had the chance to attend. Due to a lack of physical space for students and a shortage of teachers, there were issues providing the highest-quality education for students. 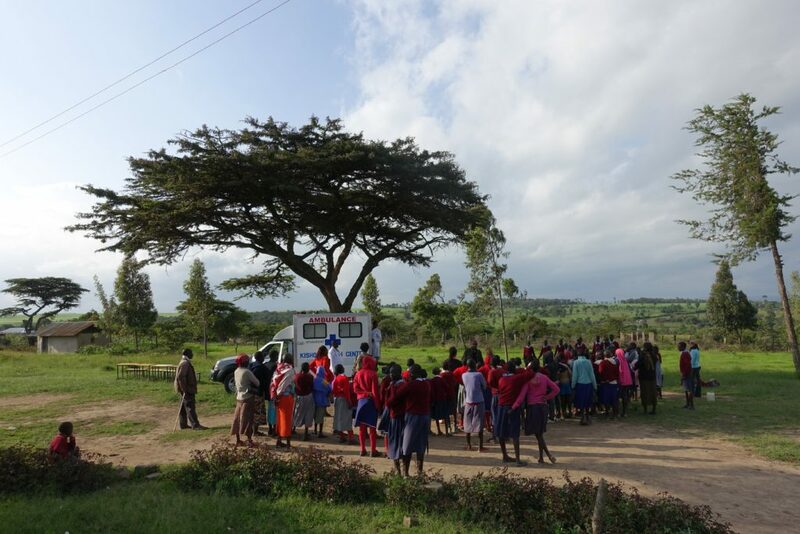 WE Villages works with communities to build classrooms in rural communities in Kenya. Each classroom that is built has a local teacher provided who understands the local challenges. Giving a child an education is the best way to set them up for success and break the cycle of poverty. I had the opportunity to see multiple communities where WE Villages has built primary schools, as well as the two all-girls high schools in the region. In addition to building out classrooms, they have built out dorms at the secondary schools and teacher housing in communities. High school students come from all over the region for school. One of the most impressive things was the work ethic of the students. 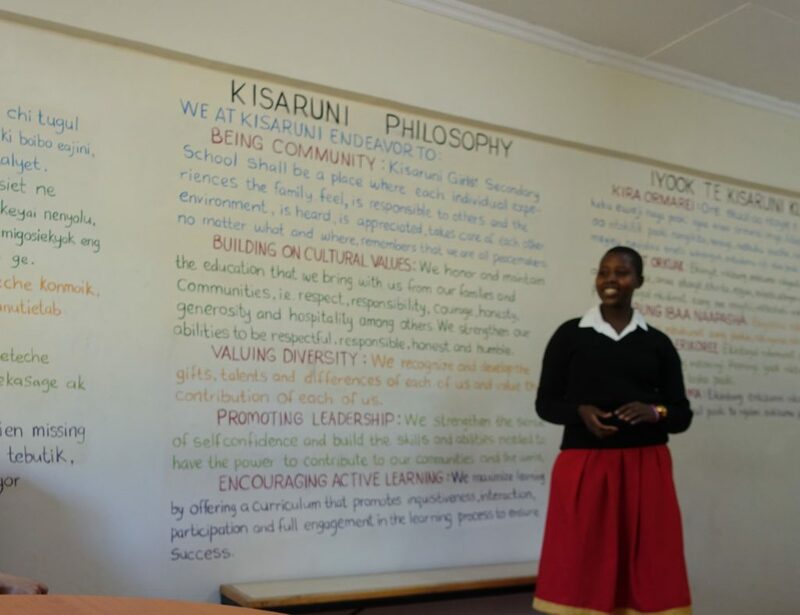 Each day, they wake up at 5:15 a.m. and keep to a strict regimen of studying and learning until 7 p.m.
Learner at the Kisaruni Secondary School for Girls, talking about the philosophy of the school. WE Villages works with local education departments to ensure projects are maintained over the long term. Much of Kenya is arid and dry. Water services are poorly distributed, and rural Kenya is especially hard-hit with poor access to clean water and adequate sanitation. Nearly 40% of Kenyans lack access to safe water, and two-thirds of the population lack access to adequate sanitation. WE Villages helps to set up rain catchment systems, wells, hand-washing stations, latrines, and proper water and sanitation education. One afternoon, we went to the Laila community and met up with Jane Marindany, aka Mama Jane. A leader in the community, Mama Jane explained the predicament. 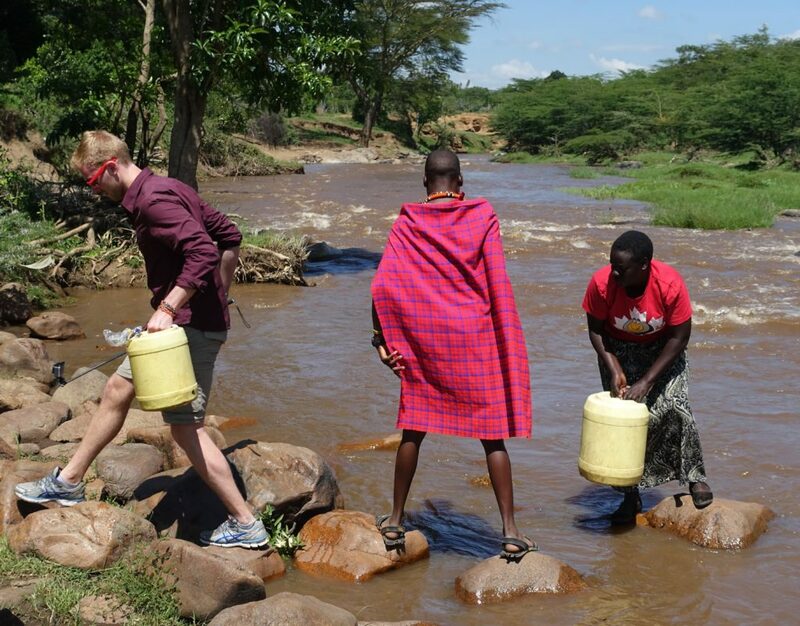 Women and girls in rural Kenya are responsible for bringing water to the home. The average walk to the nearest water source is a three-mile round trip, and is done multiple times a day. A deep-water borehole frees women and girls from having to make this trek. Girls are now able to go to school and women can support their families. To attend school students and their parents have to be healthy. Clean water is a start, but families need access to health care, and programs to teach disease prevention and promote healthy living. I spent time at the Baraka Health Clinic which is now a full hospital providing a wide variety of health services. In addition to the Baraka Hospital, there are several mobile units with physicians who can provide healthcare to the underserved parts of the region. Previously, people had to travel for hours to get medical aid. If someone cannot afford the subsidized treatment, the clinic will not turn them away. In order for children to attend school, their families need to be able to support and time to invest in their education and their basic health. I spent an afternoon beading with the mamas at the Empowerment Center. Through the ME to WE Artisans program, they provide opportunities through employment and additional income for over 1,500 women and their families. Items handcrafted by the artisans are available at Me to We’s site. Hungry, malnourished children are at best inattentive, at worst sick. Providing meals to students at schools ensures children have at least one hot meal a day. I spent time at the Oleleshwa farm, whose produce feeds over 15,000 students in the community schools. At the farm, they also train local farmers to increase their crop yield. With the changing environmental realities, the updates to agricultural practices allow for healthier crops and increased yield. Introducing effective systems is important to local farmers, as it offers enhanced sources of food and income. One of my favorite things about the trip to Kenya was the people I met. 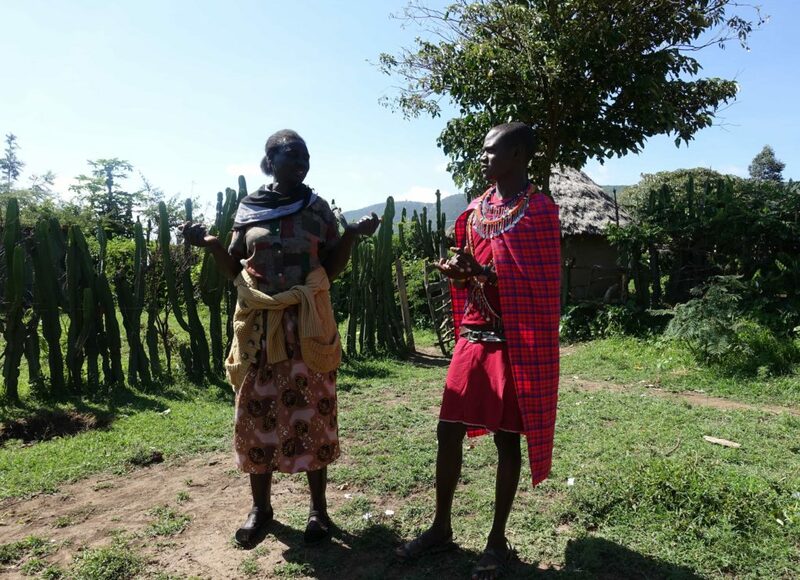 The Maasai warriors who work with Me to We as cultural guides are incredible. Jackson and Wilson authored a book about their experiences growing up as warriors. If you want to learn more about Maasai culture, I recommend checking out their book. Each morning, a Maasai warrior leads a walk to watch the sunrise and look for herds of zebra and antelope. Another educational/fun thing we did was weapons training. We went out into the bush and practiced with the bow and arrow and conga (club) throwing. As protectors of their livestock and community, warriors have to be able to defend from wild animals. During my time in Nairobi, we went out one afternoon and checked out two of the most popular tourist spots in the city. 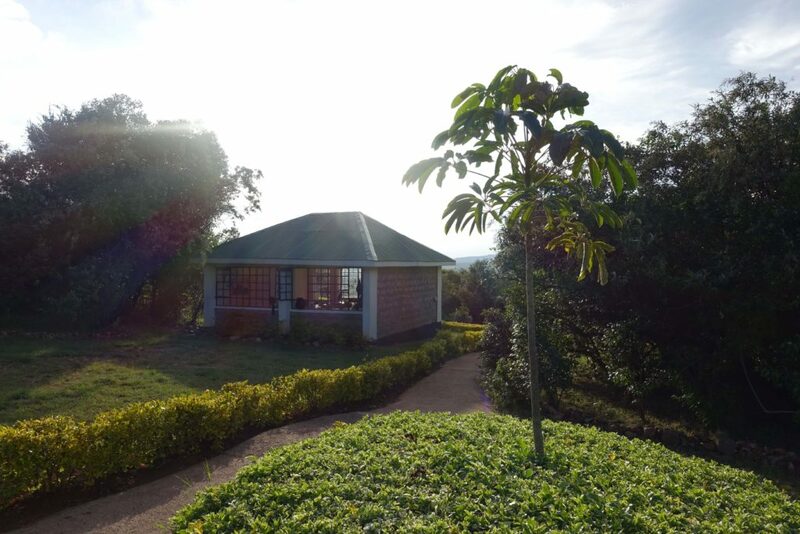 The Giraffe Center is a nonprofit run by the African Fund for Endangered Wildlife (AFEW Kenya) to educate students about the country’s wildlife and environment. The other stop was at the David Sheldrick Wildlife Trust (DSWT). The Centre works to educate the public about the impact of poaching, and provides programs to support the wildlife. One of their main programs is their Orphans’ Project, which works to rehabilitate orphaned elephants back into the wild. 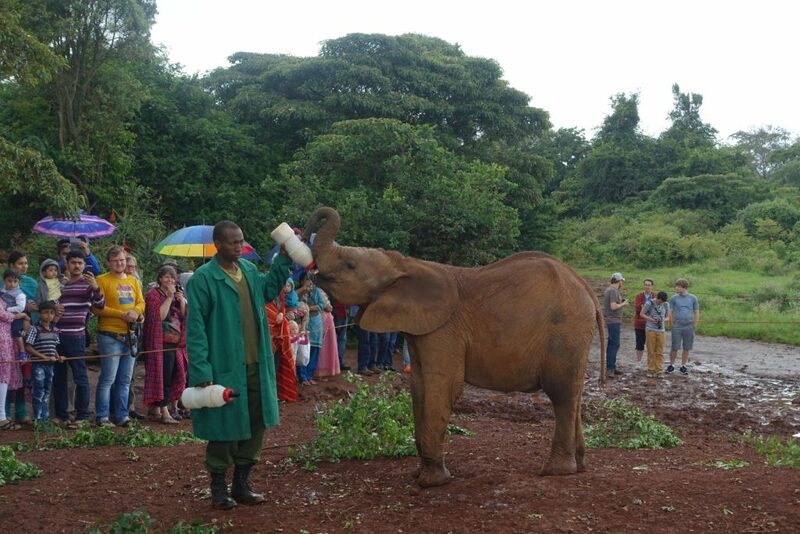 They have helped over 150 orphaned elephants to date. I want to give a huge shout-out to all the folks who work with Me to We, WE Charity, and WE Villages. The work they do inspires me to find a greater purpose in what I do. I hope to make an impact on the world like they have both at home and abroad. I encourage you all to read more in depth about We Villages and their development model. They do a phenomenal job of explaining all they do around the world. Or check out this video! Check out my other write ups! During my trip in the Maasai Mara I also went on Safari and then to Zanzibar, Tanzania for some R&R. Did you enjoy this writeup? Check out my writeup of my trip to Ecuador, where I spent some time with We Villages. Also Subscribe to get monthly updates on my adventures. 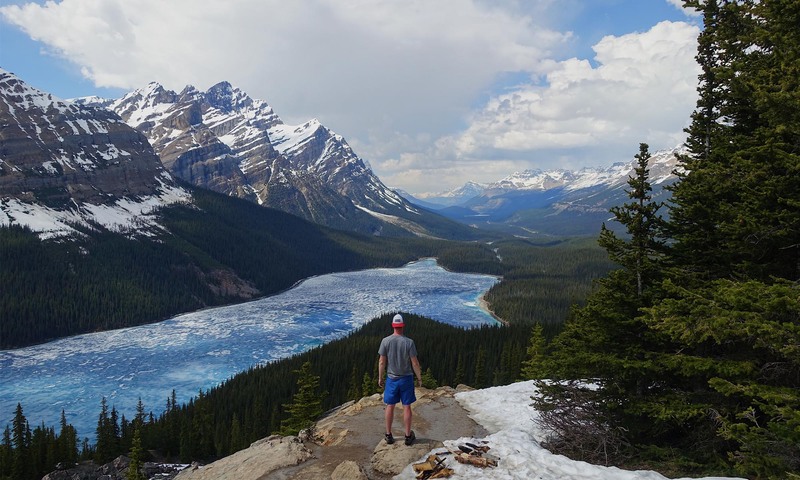 Comment if you have any questions or are planning your own trip soon!